Like many caregivers, Nancy Creadon is mission-driven to improve lives. She quickly learned that the cost of life-saving medications could prove mission-impossible for too many patients and care givers. So, she created a business that could help health care providers accomplish their shared mission. Nancy’s journey from caregiver to innovator, from nurse to entrepreneur, began in the Cardiac Intensive Care unit at Mt. Carmel West in Columbus, OH, after earning her Registered Nurse license by studying at both The Ohio State University and Mt. Carmel School of Nursing. She worked with cancer patients at The Arthur G. James Cancer Hospital and solid organ transplant patients at The Ohio State University Medical Center before transitioning into community health, delivering home infusions and educating patients on self-care. That’s when she truly began to understand how the cost of medication could put life-threatening pressure on patients and caregivers. Her leadership experience in home infusion, specialty pharmacies, and vaccination delivery honed her business acumen and the ability to understand how exceptional patient care could be made accessible and affordable. Specifically, the escalating costs of epinephrine auto-injectors threatened health care budgets and human lives and, ultimately, the mission of doctors, nurses, paramedics and other caregivers to save lives in anaphylactic emergencies. 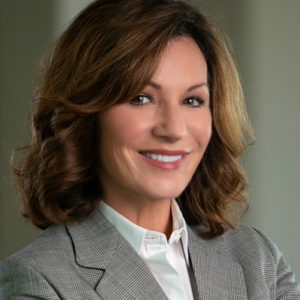 So, Nancy established Snap Medical Industries in 2016 with a mission to provide cost efficient, safe medical products for health care providers: Epinephrine Snap® and Epinephrine Snap-V™ are epinephrine kits registered with the FDA as a convenience kit to treat anaphylaxis. In 2018, a proprietary delivery system, The Epinephrine Syringe™ was designed to complement the kit and create greater ease of epinephrine dosing. Snap Medical Industries, LLC has experienced a compound annual growth rate of 500%. It is estimated, based on sales, that Snap Medical Industries has saved healthcare providers more than $3 million within its first two years. Epinephrine Snap-V is now carried by wholesalers nationwide.